A native of Perth, Western Australia, Andrew began his winemaking career in the Margaret River region. His formal education took place at the University of Adelaide, South Australia, where he studied Oenology. 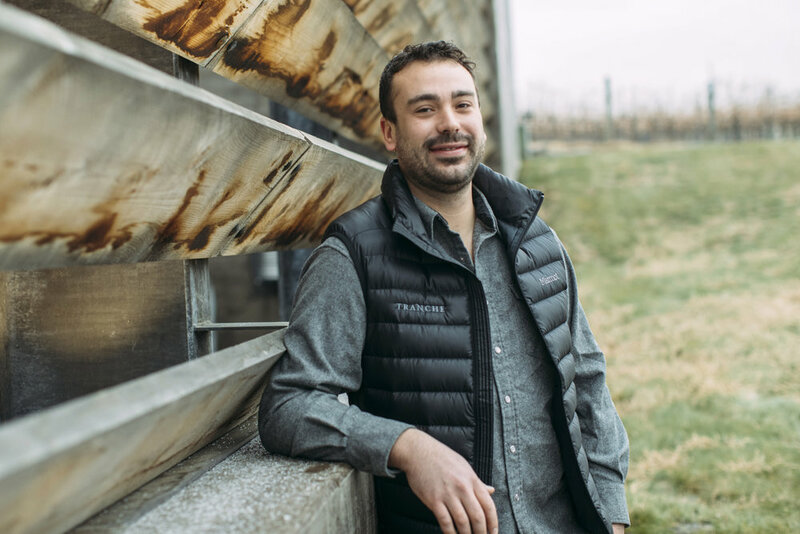 Andrew learned winemaking quickly and thoroughly, working in several well-known regions throughout Australia, as well as New Zealand, California and Europe, before finding a permanent home with Tranche in Walla Walla. 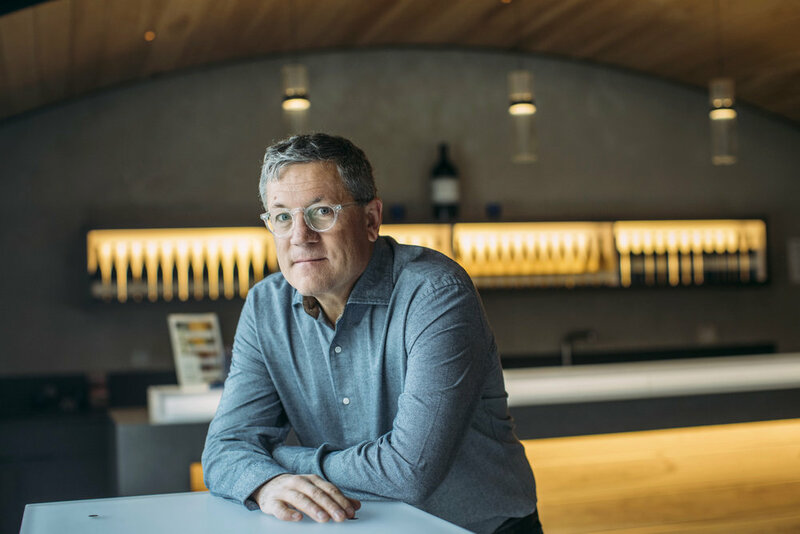 “It seemed like a most interesting place to make an impact in an emerging and fast-moving wine industry,” he explains. Andrew’s global perspective and fine-tuned touch is evident in every bottle of Tranche. Spencer grew up on Vashon Island and began crafting his palate while studying wine at Central Washington University. His experience working with Sauvignon Blanc and Riesling in New Zealand ignited his passion for white winemaking. This drew him to Walla Walla in 2012, where he joined the team at Tranche. As our Production Winemaker, Spencer oversees and facilitates the behind-the-scenes action, from vine to bottle. Spencer is committed to the goal of producing entirely estate-grown, terroir-driven wines that push the envelope of what is possible in Washington State. Lauri Corliss has a background in business – banking, real estate, and development – and brings skills that few people in this industry can claim, but which are essential to building a lasting legacy. Lauri acquired her wine knowledge over many years of traveling to acquire wines at auction, where she came to understand the whole spectrum of quality and attention to detail in winemaking. At Tranche, Lauri’s focus is on the sales and marketing aspects of the business. She is proud of the Tranche team and the wines they deliver to the market. Michael is a fourth-generation Washington native, who built a successful real estate investment portfolio in Western Washington before moving into the wine business in 1999. His personal wine epiphany came about in his 20s, while tasting wines that had once been in the cellar of film director Alfred Hitchcock. Those classic, well-cellared wines—and many that followed—helped to shape his palate. When it comes to his own wine endeavors, it is this first-hand knowledge of the world’s greatest wines that informs and inspires every decision. Richard is a fourth-generation Walla Walla native who left town after college to embark on a successful career in retail. Returning to eastern Washington to raise his family, he immersed himself in the burgeoning wine industry. When Richard joined Tranche in 2014, his efforts were focused in the cellar, but his retail expertise soon became a key component in the launch of our new tasting room in 2016. Affectionately known as the “Mayor of Tranche,” Richard is a true brand ambassador of Tranche Estate.